Place of Birth Nagpur, Maharashta. Education M. Com., L.L.B from University of Nagpur. Children 2 son Nikhil, Sarang and 1 daughter Ketki. Nitin Gadkari is a prominent name in the world of politics. He is a senior leader of the Bhartiya Janata Party. Currently, he is the Union Minister for Surface Transport & Shipping in the Government of India. Gadkari was given the additional charge of the ministries of Rural Development, Panchayati Raj and Drinking Water and Sanitation after the sudden death of former union minister Gopinath Munde. He is known as the flyovers man because of his work in constructing roads, expressways and flyovers. He has worked hard in politics to get to the position he is in today. His humble rise from the grassroots to shouldering the likes of Modi and Advani says a lot about the man and his vision. Gadkari was born to a Brahmin family in the city of Nagpur, Maharashtra. His early life was spent in poverty and he experienced a lot of struggle to earn a livelihood to support his family and education. He was born on 27th May, 1957. 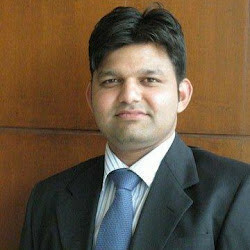 He completed M. Com and LLB in Maharashtra and has also done Diploma in Business Management (DBM). Nitin Gadkari is married to Kanchan Gadkari. The couple have three children: sons Nikhil and Sarang and a daughter Ketki. Gadkari joined politics at a very young age. He was a student activist and took part in politics actively. He joined the student political outfit Akhil Bharatiya Vidya Parishad (ABVP) in 1976. He actively participated in the university student elections. During this time, the ABVP won all seats in the Nagpur University student body. He also organised the 28th National Convention of ABVP. He was selected the President of Bharatiya Janata Yuva Morcha when he was just 24 years old. When he became the secretary of the BJP Nagpur city, he worked to strengthen the organisation in various areas of the district. He became the M.L.C from Nagpur city at the age of 32. He held this position for four consecutive years in 1990, 1996, 2002 and 2008. He worked to spread the popularity of his party all over the state. The victory in 1992 in the Nagpur Municipal Corporation established his political career as a member of the BJP. He later joined the Maharashtra Cabinet as the Minister for Public Works. At the age of 42, he became the leader of the Opposition in Maharashtra Legislative Council. Gadkari is known amongst his colleagues as a successful entrepreneur and a progressive leader who believes in socioeconomic development as well as environment protection. His notable achievements include working for the upliftment of farmers and providing them better living opportunities. Gadkari is also the pioneer of the first bio-diesel pump in the country. Apart from this, he is the first one to facilitate solar fencing. Software Technology Park in central India is also his initiative. The sewage water for the Power Generation project is his endeavour towards an environmental friendly way of modern living. Nitin Gadkari is regarded for his work in building bridges, flyovers and expressways during his tenure in the Public Works Department. He is also known to have played a significant role in the implementation of Pradhan Mantri Gram Sadak Yojana. He also transformed the Central PWD. Nagpur became a beautiful city due to his contribution to the infrastructure of the city. He became the Secretary of Vidharbha region in 1979. He later held all positions in the Nagpur University student council. He was the secretary in 1985 of the BJP Nagpur city. He became MLC for four consecutive years. He was the General Secretary of BJP in Maharashtra when he was 35. He became the President of BJP Maharashtra state in 2004. He became the High Power Committee for Privatization in Maharashtra in 1995 to 99. From 1995 to 1999 he was the Founder, Chairman in MSRDC Ltd.
From 1995 to 1999 he was the guarding Minister of Nagpur district. He was the chairman of the mining policy implementation committee in Maharashtra from 1995 to 99. He was the chairman of National Rural Road Development Committee, Government of India in 1995 to 99. He became the Chairman of Metropolis Beautification Committee of Maharashtra. 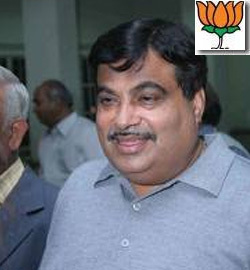 On May 26, 2014, Nitin Gadkari became the Union Minister for Surface Transport & Shipping in the Government of India.